This certainly screams, "Happy Fall, Y'all!" Nice to see this close-up of the pumpkins, after the overview a few days back. 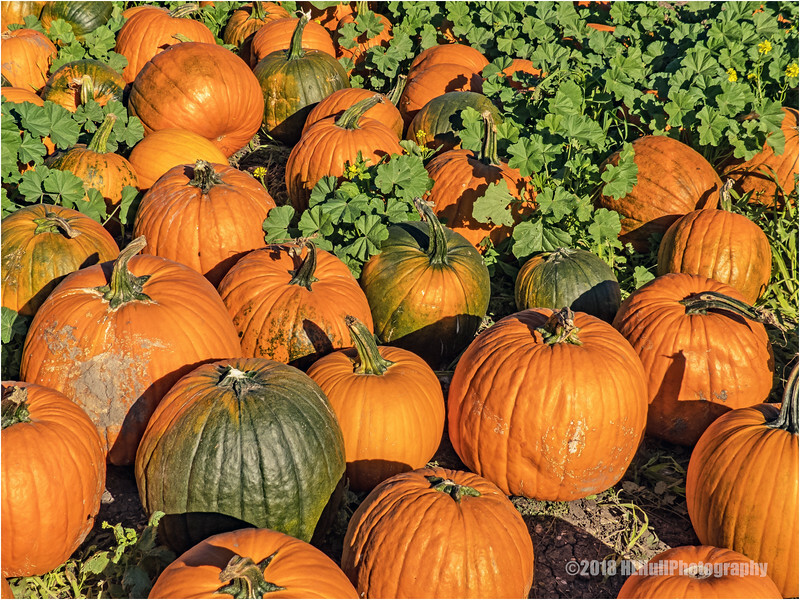 Beautiful colors and wonderful frame filling shot of the pumpkins. Pumpkins, pumpkins, pumpkins, whose got the pumpkins? Howard shot them, and a fine photo it is. Ditto Bill's comment. Great shot for near to Halloween. 'Tis the season for sure -- well captured.